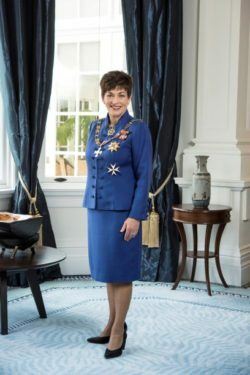 Rural Women New Zealand is honored to have Her Excellency the Governor General of New Zealand Dame Patsy Reddy as our Patron. Dame Patsy celebrates the achievements of New Zealand women from all walks of life and consistently advocates for income equality and the increased representation of women in business. It is a privilege to have a patron who shares RWNZ’s values and vision of women’s empowerment in New Zealand. Read a biography of Dame Patsy here and follow her work as Governor General on Facebook or Instagram.